This is just a very quick ‘heads up’ type of announcement as CQ Mag online is out. You can see it here. 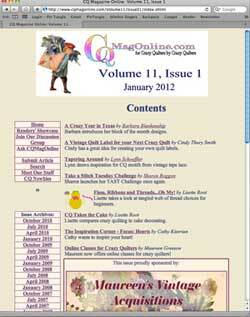 CQ Mag online is written by crazy quilters for the crazy quilting community and publiched free. If you have not read it before do make yourself a cuppa and settle down to read.